We believe in giving back to the communities we visit, and we do it in a unique way that we think you’ll really like. Many tour companies pledge to give a certain amount of sales to certain organizations (which is great), but you as customers never actually get to see this happening. On a Southern Crossings trip, you do! As a matter of fact, you can give it yourself. One percent of your trip price will be donated to a children’s charity which you can visit on your trip. If you don’t have time to stop by, we will make a donation on your behalf. This way, you’re not just passing through, you’re actually making a difference! Our partner organization in Cuzco is Globalteer. A visit during your tour is a great way to spend a half day and a great way to see the “real Peru”. If you would like to bring a donation such as pens, pencils, paper, markers, crayons, tape, notebooks, first aid supplies, vitamins, clothes, sneakers etc you can either deliver them in person or we can drop them off for you. The Picaflor House Community Project is located in the village of Oropesa, 45 minutes from the centre of Cusco, Peru. The project was established in November 2010 by Globalteer to support the children and families in Oropesa and the surrounding villages. The project works closely with the local school to provide the most required services to the children in the community. The aim is to provide a long-term locally managed and staffed location where local families can receive free education, learn new skills, have access to health education and family support. The children come from the poorer families of the villages we support, they may be orphans or living with extended family/neighbours so home life is not always stable. 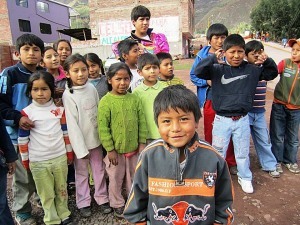 Many of the children attending the school in Oropesa come from surrounding villages. Some children live at home and walk up to 4 hours per day to attend school. Some children live away from their families to be closer to the school. Many children are required to work for their lodgings away from home. The government of Peru provides bread to all children attending school under the age of 11 years old. Still, many of the children are malnourished and go hungry on a daily basis. Many of the children help the family earn an income. They also look after their siblings and do household chores. Attendance at Picaflor House is voluntary. If visiting on your trip please be patient with the children, as these children may have been subjected to abuse and/or may have come from broken homes. Picaflor House offers a safe environment to play and be children away from the worries and burdens of everyday survival. The Focus is on taking the children off the streets and to provide a safe place for the children outside of government school hours. Once at the project, the children are provided with education and fun activities such as language classes, library, arts, sports & excursions. Peru’s population is just over 32.4 million. 35% of the population lives below the poverty line. 63% of these are children and adolescents. 49% of the population lives on less than $1.25 a day. 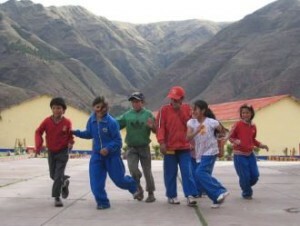 1/4 of Peru’s children never attend school. In the Cuzco area the illiteracy rate for children is 18% and adults 11%.